The camp buries Amy, all of them say their good byes. Jim's bite is getting worse and he asks to be left by the city so when he turns he can be with his dead family. Rick, his son Carl and Shane go hunting and Shane goes on the defensive about them keeping the camp right outside the city and if it was the cause of Jim's bite and Amy's death. Rick blames Shane for the deaths because he won't agree to move away from the city. The next day Shane and Rick get info a fight about moving the camp and Lori stands up for Rick, Shane hurt because of this heads off into the woods as Rick follows him. Shane ends up threating Rick with his gun and saying everything was okay before he came back. Shane is about to kill Rick when Carl shoots Shane killing him. Carl tells his dad it is not the same as killing the dead ones and Rick tells his son it never should be. The camp buries Amy, all of them say their good byes. Jim's bite is getting worse and he asks to be left by the city so when he turns he can be with his dead family. 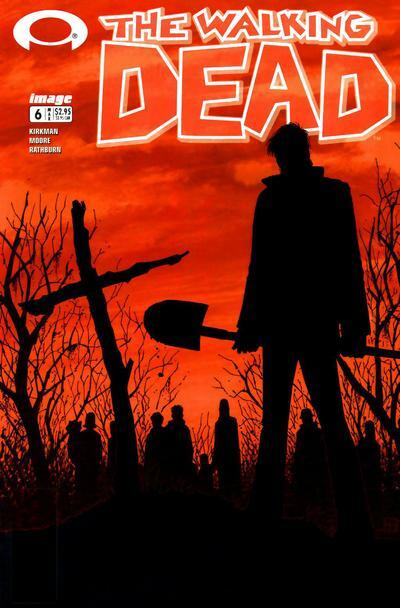 Rick, his son Carl and Shane go hunting and Shane goes on the defensive about them keeping the camp right outside the city and if it was the cause of Jim's bite and Amy's death. Rick blames Shane for the deaths because he won't agree to move away from the city. The next day Shane and Rick get info a fight about moving the camp and Lori stands up for Rick, Shane hurt because of this heads off into the woods as Rick follows him. Shane ends up threating Rick with his gun and saying everything was okay before he came back. Shane is about to kill Rick when Carl shoots Shane killing him. Carl tells his dad it is not the same as killing the dead ones and Rick tells his son it never should be.